SuperGlu have today revealed the lead track from their début EP - "Rounder" - and have it backed up by a UK-wide tour! 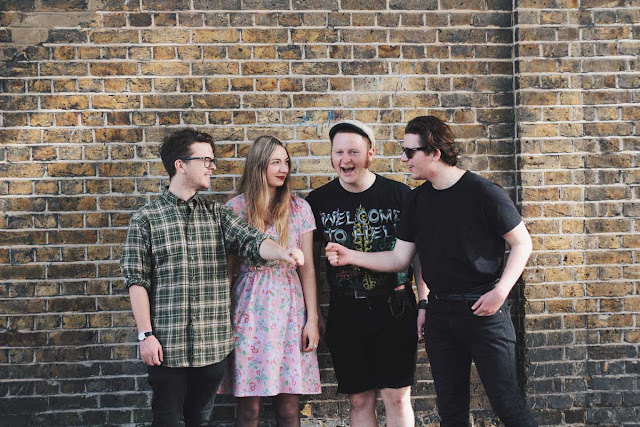 Formed in 2014 by two Bens (Brown and Ward), Brown's brother Alex and girlfriend Krista Lynch, SuperGlu are a garage pop four-piece from Manningtree, Essex. They’ve been championed by Amazing Tunes and BBC Introducing's Huw Stephens, who broadcast their first demo on Radio One in October 2014! We're a big fan of theirs - as you might know - but this is their biggest track yet, with big and bold guitars the band have shared their most exciting track so far. Their debut EP - "Horse" - is out 24th of February via Antigen Records.